When people consider entering the wonderful and life-changing world of skydiving, normally it’s not free-falling or piloting the parachute down to the ground that they’re scared of the most… What they fear is something we like to call the “my parachute might not opet” myth. You know the one: the idea that after you’ve jumped out of the perfectly good airplane and enjoyed the freefall part of the skydive, you try deploying the parachute but – nothing comes out. Well, that never happens but it’s almost certainly the single biggest misconception people have about skydiving. So let’s make one thing clear and put your minds at ease – parachutes always open. Especially during tandem skydives which are considered to be the safest. On the other hand, how a parachute opens is a completely different matter, but it’ll almost always open exactly the way it’s supposed to (despite the manufacturers “warning” that it doesn’t guarantee that it’s going to…). Even if a problem does occur, it’ll probably be minor and solvable within a few seconds, while dealing with a real malfunction is just a matter of cutting away the main canopy (which is part of at least a partially open parachute) and deploying the reserve. And in any case, if you start the deployment procedure at the correct altitude, you’ll have plenty of time to correct any potential problems. Another thing you can be sure of is that parachute equipment never fails. Most malfunctions and problems are the result of human error, either while packing the parachute, which is a pretty straightforward procedure (therefore not easy to mess up), or during the deployment process. 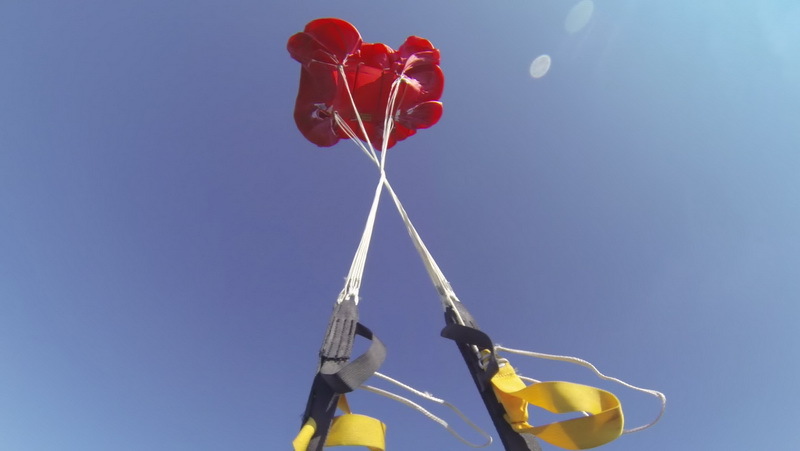 In any case, malfunctions are rare and chances of any jumper experiencing one are slim – according to USPA (United States Parachute Association) statistics, a main canopy will fail to open correctly once every 1000 jumps, which are pretty good odds. But, it will always open. OK, I’ll admit there might be a few instances when the “my parachute might not opet” myth could turn out to be true, but the odds of that happening are so small that you’ve got a better chance of having a piano with an elephant on top of it fall on your head while walking down your street. In other words, close your eyes, breathe in, relax and step out of that perfectly good airplane… and enjoy your skydive.